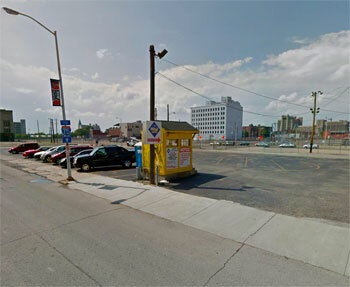 Prime Parking Lot 2 is just two blocks from Comerica Park and another to Ford Field. Lot 2 is located directly behind the Fillmore and the State Bar and Grill and is a great option for Tigers, Lions, and concert fans. Parking spaces are are standard size and are for vehicles only. Trailers, RVs, and oversized vehicles are not permitted. Tailgaiting is limited to the area immediately around vehicle. NOTE: During busier events, you may be asked to leave your keys.